There is a new leak stringing together multiple theories that sets a proper release date for the Founders cosmetics! Are you a Founder of "Fortnite"? Or, have you never even heard the term "Founder of Fortnite?" Basically, a "Fortnite" Founder, if you will, is someone who has bought the paid version of "Fortnite" to support the ongoing development of the game. Why does this matter? 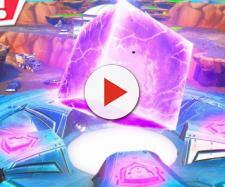 Well, "Fortnite" Founders have been waiting for a way to show off their dedication in the more popular mode, the Battle Royale mode. So, I'm sure you've seen the unreleased "Fortnite" skins that are more than likely designated for owners of the Save the World mode of "Fortnite." With that said, no one knows why they haven't been released - but someone has a theory. What does this theory entail? The theory comes from Reddit, and, based on previous actions by Epic, this seems to be spot-on. Reddit user EversorA threw it together for us and I'll summarize it for you now. Basically, it’s speculated that to be eligible for these skins you have to be a Founder. What's a Founder you might ask? A Founder is simply someone who has paid interest in the Save the World variant of "Fortnite." He starts by saying this, "First of all, something that supports both theories," he proceeds to link to a deleted Reddit post. This post was created by someone claiming to be linked to Epic and releases a bunch of information that has apparently been confidentially disclosed to him. He follows by saying this, "Season 5 starts at the 9 of July and if it ends 70 days later (if they keep the current days/season ratio), it will end on the 17 of September. That means it would be around the 14 of August, because that's the middle of these two dates." And it's that simple. If you look at it from any logical point of view - the Founders skins will release on the August 14 or anywhere around there. But, let's try a different, less logical (but still logical), point of view. His next, less involved theory, has the skins releasing at a different time -- during "Fortnite's" one-year anniversary. He says the following, "It will become free at the "Fortnite" Anniversary. The only point I have for this is, that it's soon and they most likely want to do something for it, which makes it rather unlikely compared to the other theory, but possible." Like I said, this theory is very unlikely, but its another option. At this point, Founders have been waiting a long time, and are willing to entertain any theory pertaining to these precious skins. So make sure to purchase the paid version of "Fortnite" as soon as possible and get your free skins! Check out more theories here, and here.